So you’re working hard in the gym, eating right and getting plenty of sleep. 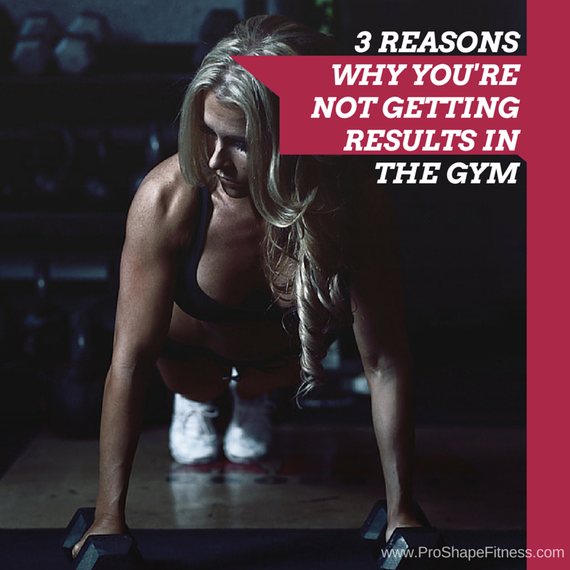 The problem is, you aren’t seeing results. Your hard work hasn’t translated into lost inches or a drop in scale weight. What gives? The first question I ask new clients is: how consistent have you been with your nutrition? Are you nailing your macros on a daily basis, or are you “just kind of” hitting them? Are you sneaking extra bites here and there? How accurate are you with your tracking? Are you skipping the food scale and “just eyeballing” portion sizes? Usually after asking these questions they realize there’s room for improvement. While by no means is there anything wrong with the things listed above, letting them become habit can account for less than stellar results. Particularly when you’re really cracking down and trying to shed those last few stubborn pounds. When fat loss is our goal, there are times when we can get away with eyeballing portions and simply being more conscious of our food choices. However, depending on how lean you are, how much you’re trying to lose, your body type etc. 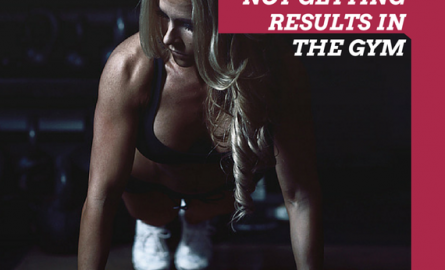 more than likely you’ll need to be a bit more disciplined to get the results you’re hoping for. 1.: To begin, make sure you’re set up with the proper macros. You can either do this yourself through some google research, or hire a coach like myself to do it for you. From here, you’ll need to monitor your progress and adjust your macros accordingly. 2.: Once you’ve determined your macros, make sure you’re consistently hitting them every day. Everyone has slightly different “rules” for this but with my clients, I consider anything within 5g to be sufficient. Obviously the closer you are the better. Don’t forget to track everything you eat (yes, everything!). Sadly, that bite of cake isn’t calorie free (no matter how small it is). Yeah you heard me right. You’re doing way too much! You’re not a damn hamster! When it comes to cardio, it’s all about quality over quantity. Now let me first preface this by saying that everyone requires a different amount of cardio. If you’re following one of those cookie cutter diet/training plans from a famous Instagram fitness model or a big contest prep team, more than likely they have you doing the same amount as everyone else on the team. And even more likely, you’re doing way too much and it’s only going to increase. So do yourself a favor and start with the minimum amount of cardio possible (if any). Remember, you can only do so much. If you start with hours of daily cardio how many hours do you expect to be doing at the end of your training period? You lose 10 pounds. You gain it back. You start dieting shortly thereafter and lose a few more. And so the cycle continues. Sound familiar? Prolonged periods of excessive caloric deficits can wreak havoc not only on your metabolism, but on your progress as well. While it’s not always publicly shared, this sort of behavior is extremely common in the fitness world. An entire article could be done on this topic alone, but I’ll keep it high level for now. The takeaway point: If you can relate to above scenario and constantly find yourself thinking about when you’re going to start dieting next, it’s time to take a big step back and reassess your goals. Are you in the right mindset to be dieting? Do you even need to be dieting? Mentally, you may need to take a break and go into maintenance mode, or reverse diet to get your base calories up to a more sustainable level (and get your head right in the process). You would believe how many times I’ve seen people do this and suddenly the pounds fall off. The key to long term fitness success is having a healthy mindset towards your body and the foods you eat. Getting to this point is one of the best feelings for anyone who has gone through a bad contest prep or years of yo-yo dieting. So perhaps it’s time for you to stop dieting and to start focusing on a healthy mindset. Only then can you truly have it all. And there you have it. Three things you can adjust to get better results in the gym! If you found this article informative and would love to hear more, I invite you to check out my bio and download a free copy of my complete fitness tracker here! By Health This article originally appeared on Time.com. Our solitude cannot be monetized.